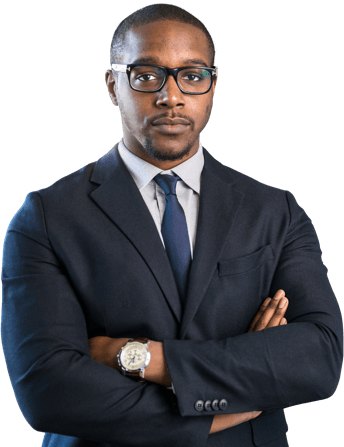 A CV is about showcasing your skills in a clear and concise manner. With any science discipline, it is important to highlight all your experience – from laboratory and field research to modules you have taken in university. This shows the type of scientific experience you have and whether it is right for the role you are applying for. 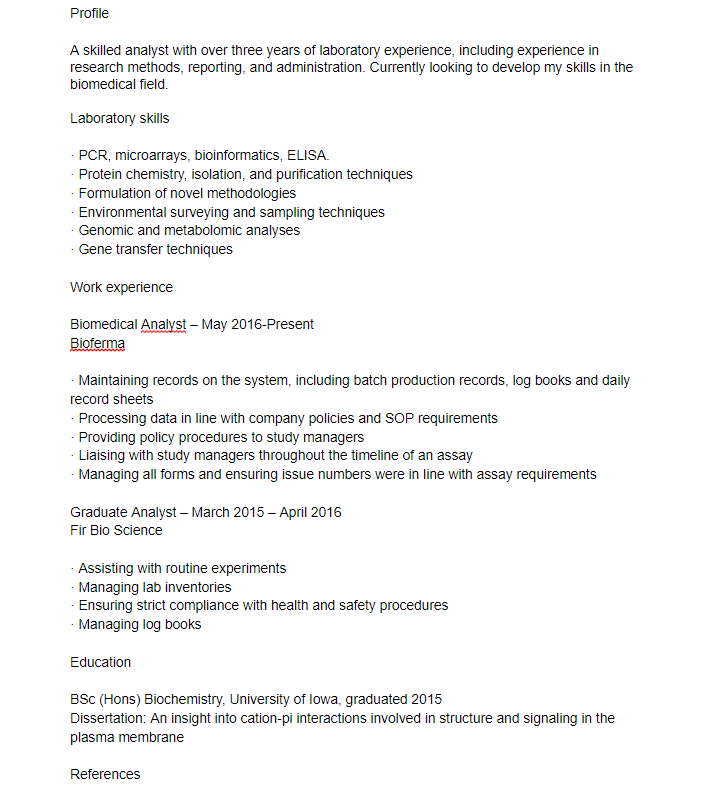 The below example is a biomedical science cv example, it can be tweaked according to the various projects you have undergone but is a good starting point for science CV examples. It’s important to go into a little more detail with a scientific CV but doesn’t lose sight of the fact that a CV is at the end of the day a brief overview of you and your work. Giving every single account of your latest project from its aims to scientific methods although can be tempting, isn’t required. A general overview that, yes, includes appropriate terminology and facts is great but there is no need to get too technical. An environmental science CV example should have any field research projects undertaken included, a brief history of the project from the initial research phase to the analysis. Just like a standard science CV, it should also include skills learned throughout previous jobs or university. If applying for an environmental science role straight out of university, it’s a good idea to include all your final year modules undertaken in the education section of your CV. Also, give a detailed overview of any research projects and how they tie into the company you are applying for. When applying for a computer science job it’s important to highlight what you have learned in university, so a potential employer knows the skills you already have. Research the company, find out what sort of computer science they specialize in, what programs they use etc. In the key skills area of your CV list all the programmes you are proficient in, e.g. the Adobe Suite, Java, CSS3, HTML5 etc. A future employer will want to know all the programme languages, web development languages and graphics programmes you have done, even if you only have a very basic understanding, it’s always better to include. Social science CV examples and food science CV samples follow the same format as all the above. Be sure to mention modules you have undergone, laboratory techniques learned and any research projects that are relevant to the role you are applying for. Give a detailed view of the laboratory skills that you acquired over your degree. If you’re not sure how to approach a science discipline CV resume building services are a great way to help. Our service ties all your scientific experience together in one comprehensive template. We provide a CV writing service from the very initial help writing a cover letter phase if you’re struggling getting started. Or if the cover letter isn’t a problem but getting all your experience in a clear, tidy manner is the problem our professional CV writers can take all of your experience and turn it into a great looking CV. Science CVs can be tricky because of all the information you need to fit but whether it’s resume building services or LinkedIn profile help you require, our team can pull together everything you need – quickly and hassle-free. Your science CV has never looked better.